If a picture is worth a thousands words, how much is a video worth? 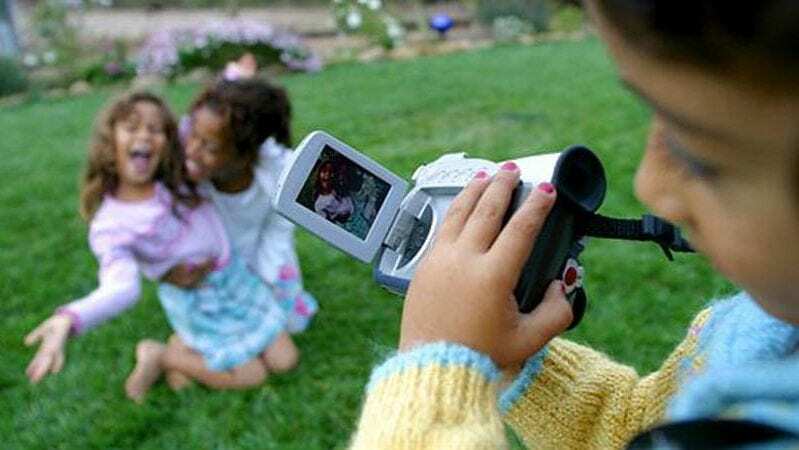 Making classroom movies has gotten much easier now that cell phones, tablets, and other devices feature video capabilities that are high quality and simple to use. And happily, we’ve found that students love to use video—it’s a format that they understand and that sparks their creativity. Here are ten video project ideas to try in your classroom today. Challenge students to design a movie-style trailer that excites their classmates about a must-read novel or nonfiction book. Digital storytelling is a great format for students to share more about their lives or to present about a person in history. If you need to thank a visitor to your class or an awesome parent volunteer, try filming rather than writing a thank you note. Your students’ smiles will be a memorable token of appreciation! Have small groups take turns writing a brief summary of what you learned on a weekly or monthly basis and then filming it, news report-style, to share with families. Invite kids to practice their informative writing skills by making short videos that explain how to bake a cake, ride a skateboard or shoot a soccer goal. If your students are fired up about an issue at your school (like the length of their passing periods, for example), have them make videos sharing their opinions and/or asking for change. As a class, film your own version of “Chrysanthemum” or “The Tale of Despereaux”—it’s a great way to practice key reading skills like summarizing and comprehension. Commercials are persuasive writing at their most distilled—have students make one for your school playground or a local attraction. Stop-action movies are a fun way to document a science experiment, whether it’s cell meiosis or growing a bean sprout in a paper cup. A student-led tour of your school, from the cafeteria to the library to the front office, is a nice resource for sharing with new students and visitors. What are your favorite video project ideas?